Is it possible to look good and not spend a lot? 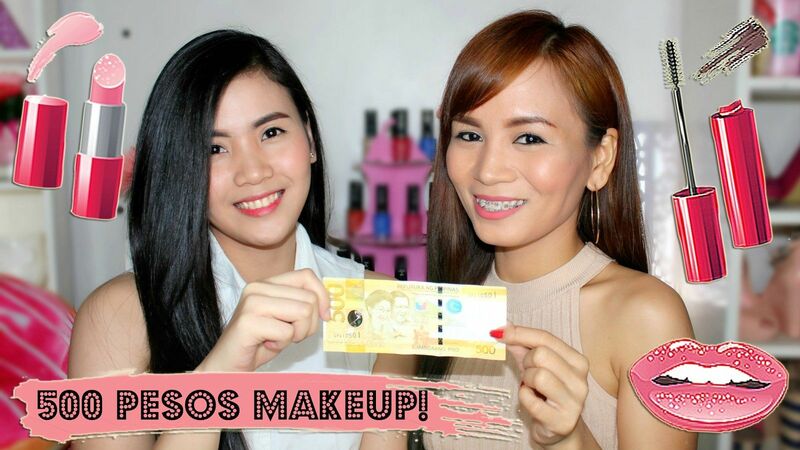 I took the 500 Pesos Makeup Challenge to see if it's doable. I remember how I did not have a lot of money to spend when I was still a student. I had to resort to using local products and use them until I hit the pan just to succor my low-budget makeup need. I asked my cousin, Krystel, to model for me since she is still a student and also very pretty! The look that I did on her is very simple, perfect for college/university students that are low on budget but still want to look fresh and presentable. This look is also perfect for working women that do not want to pile layers and layers of makeup on their skin. This is the perfect go-to everyday makeup. I must say! 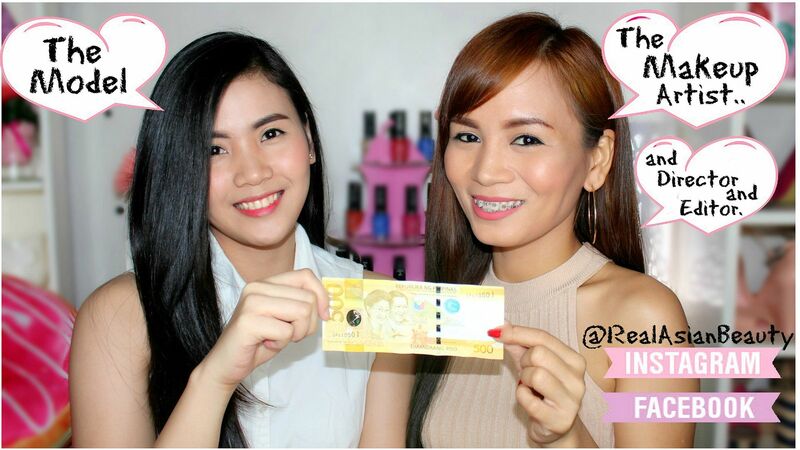 Here are the 5 Filipino drugstore products that I used to do her face, eyes, lips and cheeks. Everything, markedly, come down to 500 PESOS! Here is the quick video tutorial. I hope you enjoy watching it! 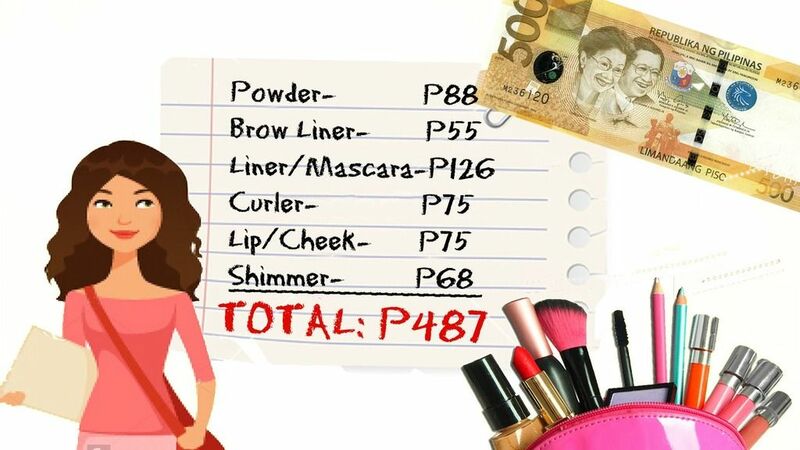 Here are the prices of the items that I used in the video. 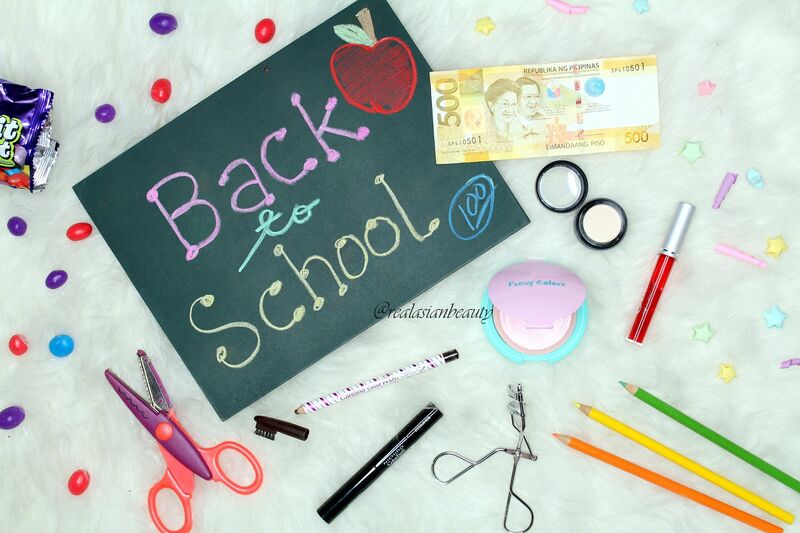 Some products are amiable like the Liner and Mascara in 1, Eyelash Curler and Lip and Cheek Tint. Some items are prosaic like the Brow Liner, Eyeshadow/Shimmer and the Powder. But considering their low price, one can not really expect superb quality, right? 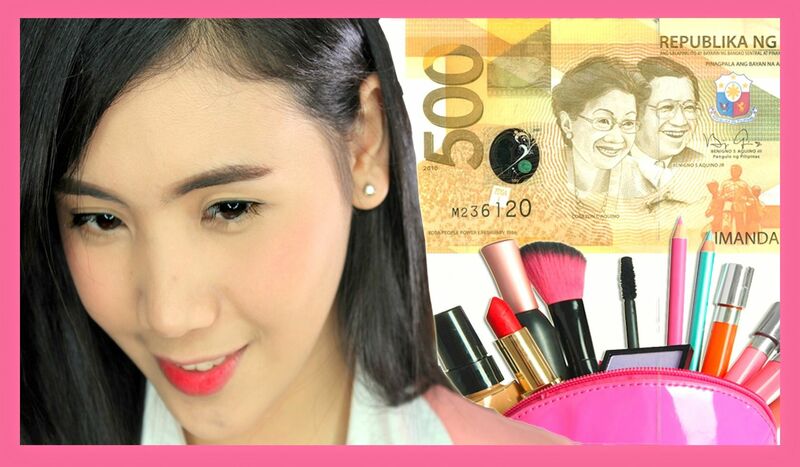 I didn't know it was ever possible to do a full-face makeup with only 500 Pesos budget. When I was shopping for the makeup, I was actually nervous thinking I would never be able to pull it off. But I did! Yahoo! Please let me know what you think of this Makeup Challenge by commenting below. Thank yo so much for reading today!